If you are running the newest build of the Android Open Kang Project on your Galaxy Nexus and have been looking for some dark and exciting themes to deck your phone out in, then look no further. Themer SonnySekhon has delivered some minimal and classy themes for everyone’s pleasure. 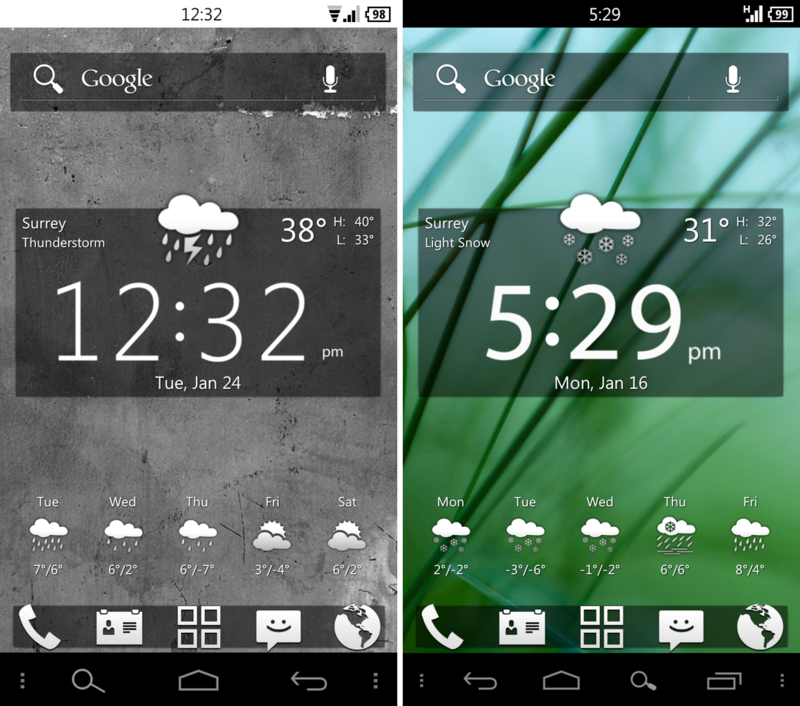 There are six colors to choose from, but we have decided to showcase just two in this week’s Custom Theme Friday. Look for the other colors in next week’s edition. Shown above is Frost on the left and Lucid on the right. Give a look over the directions we have posted down below and if you feel like having your device look like the ones shown above, then follow them closely. Warning: You must be running a stock (non-themed) AOKP Build #23 in order to flash these zip files. 1. Download the zip file you have decided to flash. 2. Place the zip on your phone’s storage. 3. Reboot into ClockworkMod Recovery. 4. Create nandroid backup immediately. 5. Locate chosen zip file and install. If you have any questions or concerns, let us know down below and we’ll do our best to help you out.